Hello, friends! 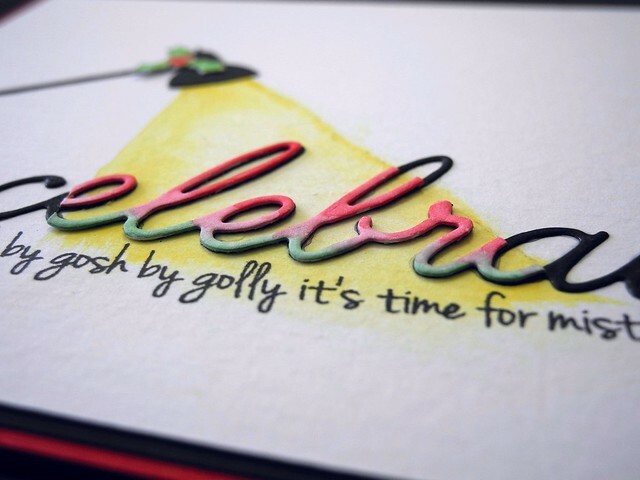 We have an exciting new challenge for you on the Simon Says Stamp Wednesday Challenge blog! This week we challenge you to create a CAS Christmas card. The Design Team is showcasing Memory Box products. You don't have to use them, but if you have some we would love to see how you rock them on your cards! I pulled out two awesome Memory Box dies that aren't necessarily in the 'Christmas' category, but they were totally perfect together for an awesome holiday card! I used watercolor paints to add the color and then stamped the holly and the additional sentiment from a CAS-ual Fridays Stamps set that I LOVE! Speaking of CAS-ual Fridays Stamps, the new release is now available in the Simon Says Stamp Store! You won't want to miss out on this one, you guys! It is AWESOME! Now it's your turn! 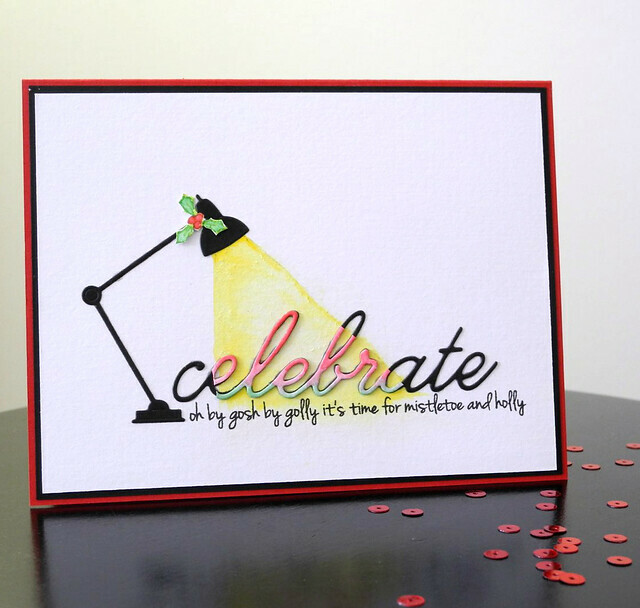 Create an awesome CAS holiday card and link it up to the Simon Says Stamp Wednesday Challenge Blog! One lucky participant is going to win a $50 Gift Voucher to the Simon Says Stamp Store! WOOT! WOOT! You can find my complete supply list below. All links in this post are affiliate links. Your support is always appreciated! What a great and unique idea for a Christmas card, Jennifer! Love it! How creative!! Thanks for "shedding the light" on how you create this clever design! Perfect use of that CAS-ual Friday sentiment! What a cool and creative card design! What a lovely cas design!! This card is absolutely genius! I LOVE!!!! A brilliant card Jennifer, I love your lamp and how used the light on the sentiment!! beautiful card! !So original and unique!! This is such a fun and clever card! The sentiment is beautiful! Absolutely brilliant Christmas Card it so clever. Saw your card at SSS and had to come and comment, I LOVE this card, so modern and fresh and FABULOUS!!! Just saw your card at Simon says and had to come and say how absolutely brilliant it is. So clever and beautifully executed. LOve it!!! OH my gosh I LOOVVVE it! how clever and creative! Love what you came up with Jennifer! Fabulous! It's genius how you created the light effect on the sentiment! What an amazing creation, I just love this!